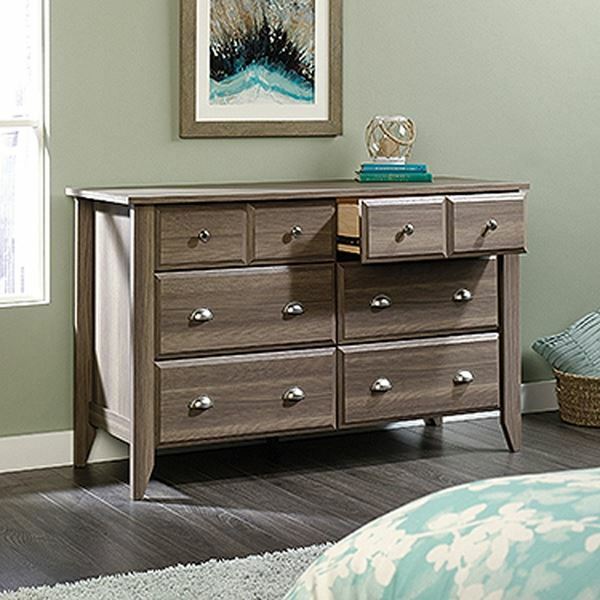 Shoal Creek Dresser Diamond Ash By Sauder. 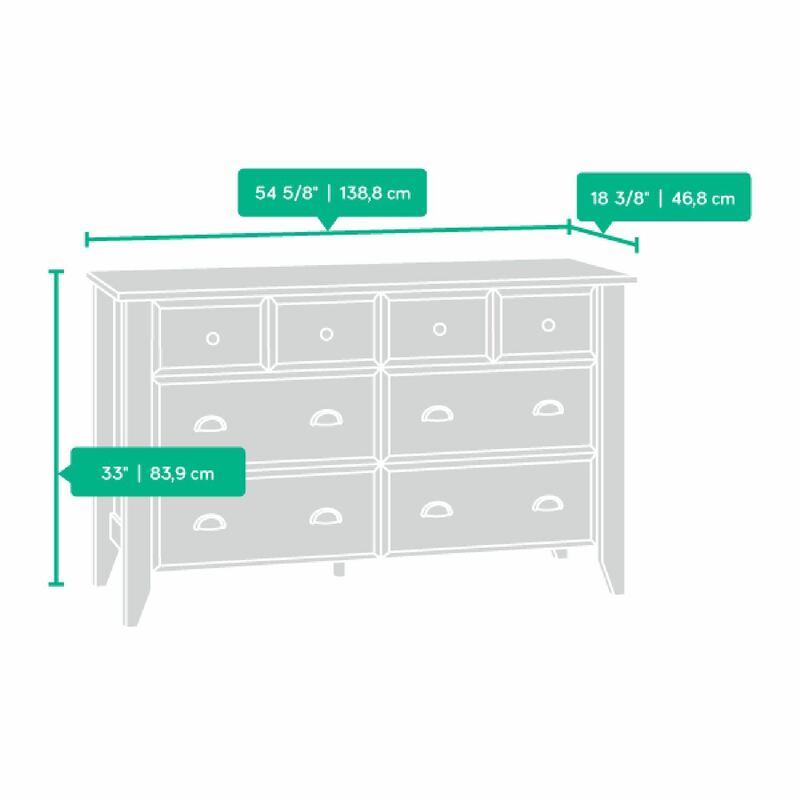 This dresser with six drawers provides plentiful space for storage. 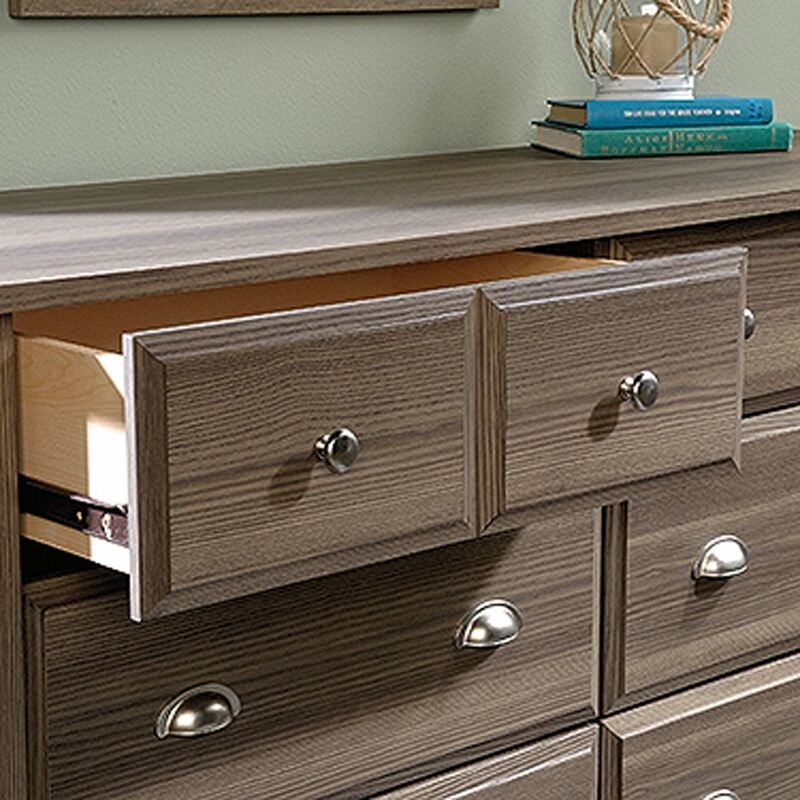 Four extra deep lower drawers allow even bulky items to be tucked away. 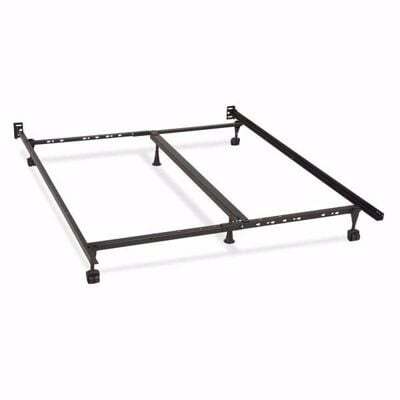 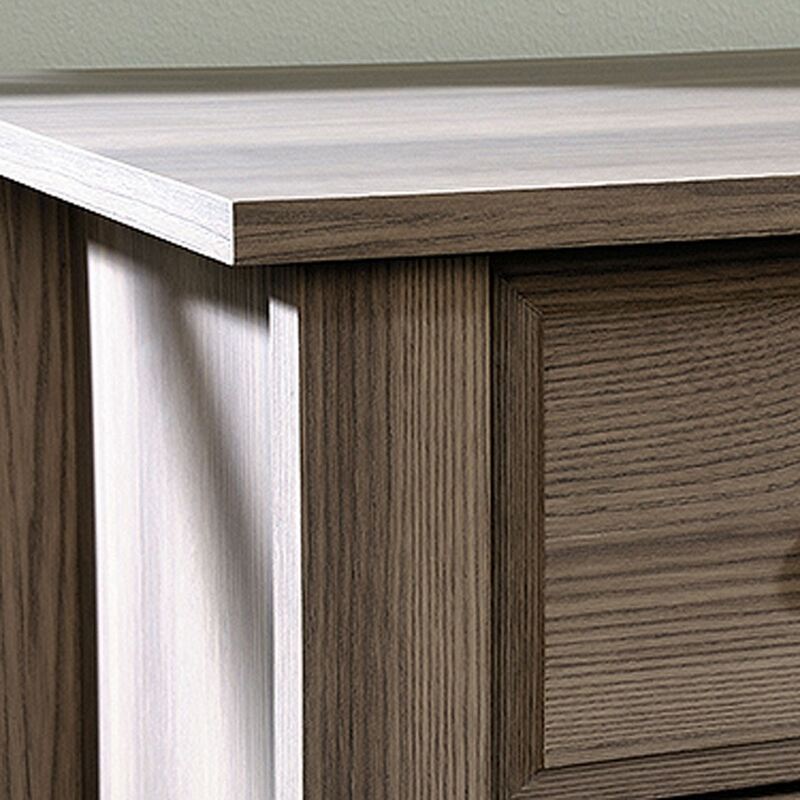 This chest of drawers also features: Drawers with metal runners and safety stops feature patented T-lock assembly system. With country roots and contemporary soul, Shoal Creek’s inviting, casual appearance offers a stylish alternative to the traditional bedroom. 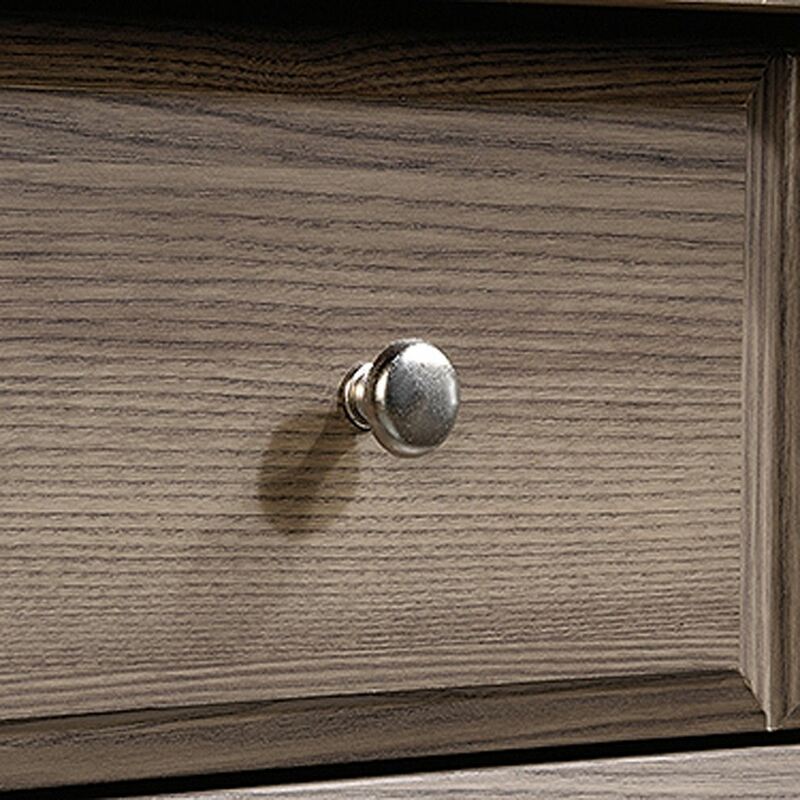 The warm espresso and soft white finish is accented with soft nickel-finish bin-style drawer pulls in a distinctive updated shape. 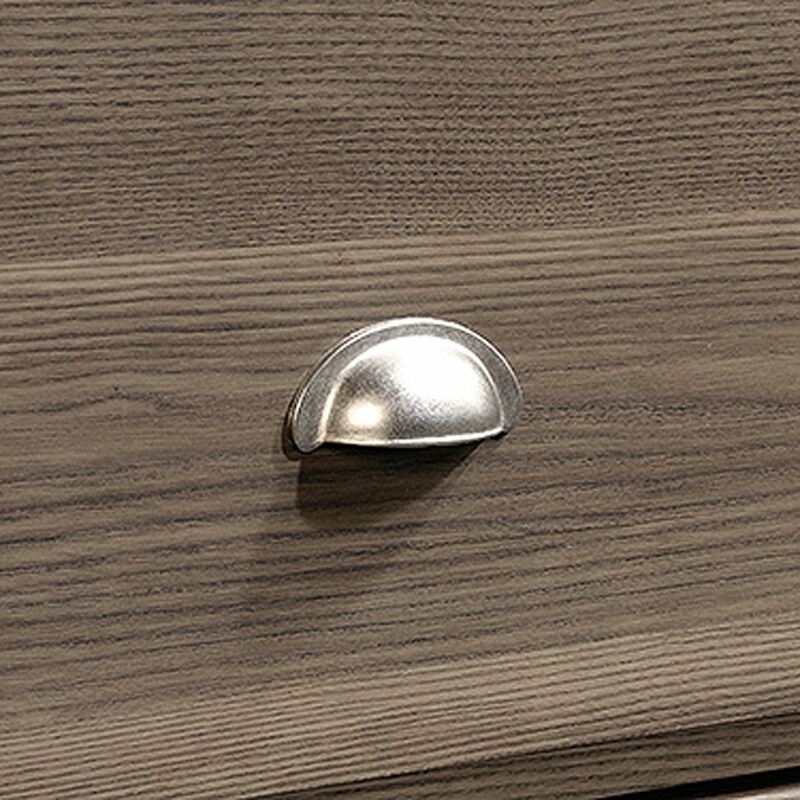 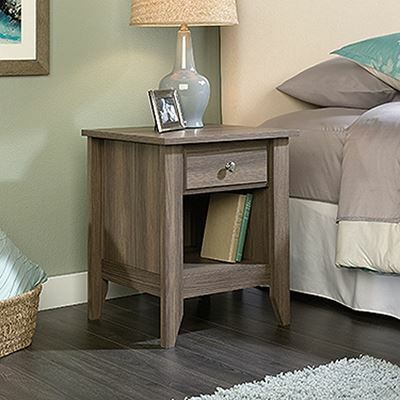 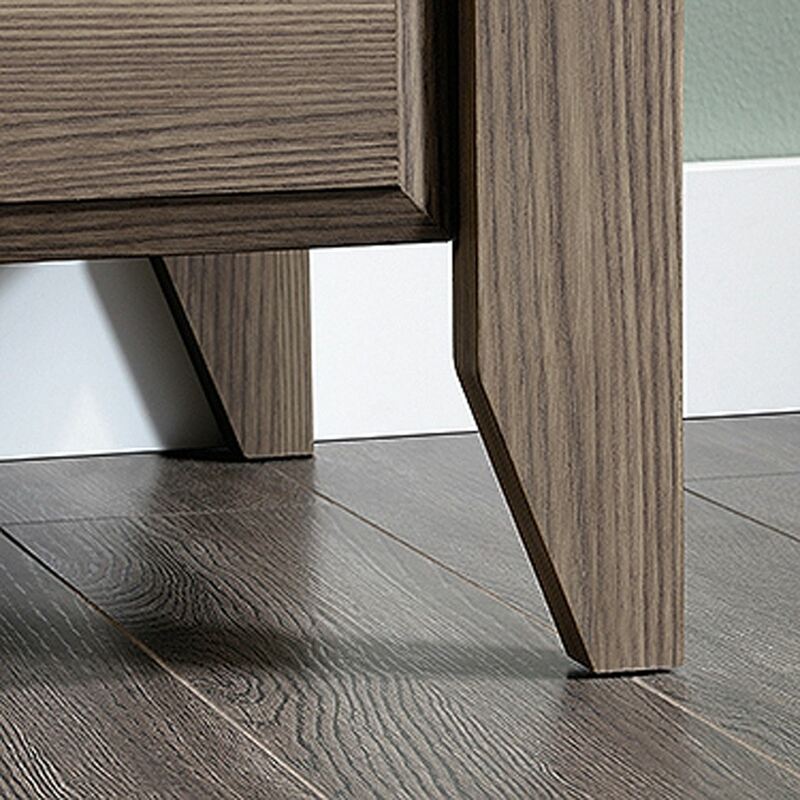 Tapered legs and sculpted drawer and door edges confirm this design’s country origin.